Broadway Lo Character Pumps - Bloch is adept at making great shoes for women, and these Broadway pumps definitely attest to that. Made with synthetic leather that's durable and easy to clean, these are no-fuss pumps that can be worn for all manner of occasions. They feature a 1.5 inch heel, so they provide just enough lift without becoming unstable heels. These shoes also feature a reinforced shank, providing stability, and overall they are incredibly comfortable and stylish. These are pumps that you can take with you practically anywhere. 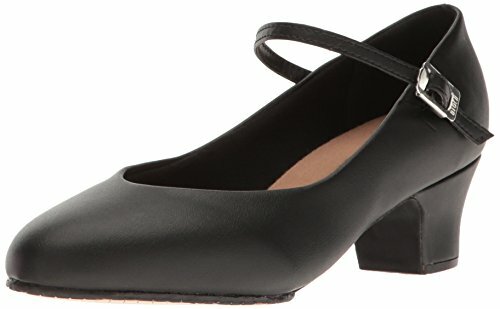 For people who like to dance, Bloch is the go-to manufacturer on the market today, given their commitment to quality and the many fantastic products they churn out. Available in dozens of web stores, Blotch's clothing targets girls specifically with a line of dancewear that includes shoes, booties, skirts, bottoms, tops, and much more.